Corporate prayer is alive and well and begin a new year of prayer at Point Grey Community Church on Tuesday, 8-Jan-2013 at 7pm. 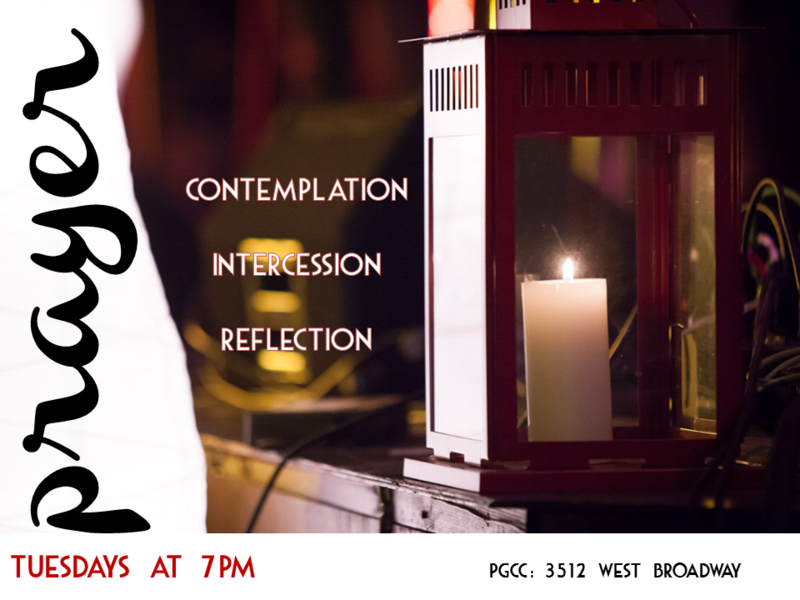 Come and participate in contemplation, reflection, listening and prayer for our community set in a quiet, sacred space. Contact Roger Schmidt: rschmidt@emplexconsulting.com for more details.